A world-renowned dancer and choreographer with a stage, screen and television career in three continents spanning over five decades, Wakana Hanayagi has passed away at the age of 85. Born Sakae Yamaguchi in Tokyo on Sept. 22, 1932, she was one of six children of Masao and Shizuko Yamaguchi. As Wakana Hanayagi, she began introducing the art of Japanese classical dance to the world over 65 years ago. She had a long and illustrious career, touring twice around the world in the 1950s with the Azuma Kabuki Dance Company. Moving from her native Tokyo to Los Angeles in 1996, the veteran dancer continued to reach out to the community and the world through this performing art, having established herself both as a first-class performer of Japanese classical dance and also as a disciplined instructor for professional actor training in Tokyo. She began her dance training at the age of eight, under the tutelage of the grand master of the Hanayagi School, Jusuke Hanayagi II. Young Sakae grew up with talented siblings, including her brother, the famous novelist Hitomi Yamaguchi. 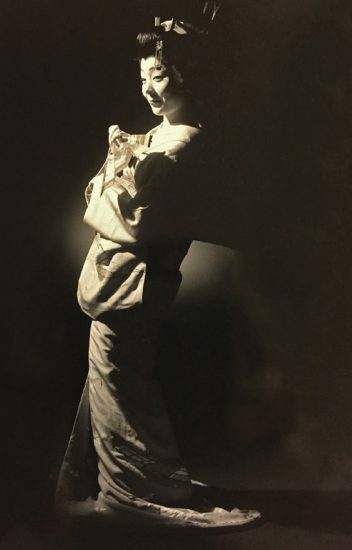 After becoming known in the performing world as Wakana Hanayagi, she began to travel around the world when she was invited to be a member of the first Japanese classical dance troupe allowed to go abroad after World War II. She was only 20 years old when, in 1953, Japan’s Prince Takamatsu sponsored the Azuma Kabuki dancers and musicians on a tour that took them to New York, Boston, Philadelphia, Washington, D.C., Chicago, Los Angeles and San Francisco. Their second tour in 1955-56 took them to 13 countries in Europe. 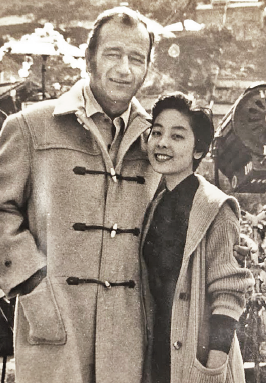 It was just one month after she married New York-born entertainer Jerry Ito in Tokyo that Wakana traveled to Los Angeles to dance on NBC’s “Japan Spectacular Show” in January 1959. She was only 26 years old. Her husband was a well-known entertainer in Japan and the son of legendary modern dance pioneer Michio Ito. The couple moved to L.A. in their later years to be closer to their two children. Hanayagi taught Japanese theater arts at the University of Toronto and the Eugene O’Neill Theater Center at Yale University, among other schools, and also taught privately for over seven decades. She was renowned for her dedication to preserving traditional Japanese art forms. In her more than two decades in Los Angeles, Hanayagi cultivated new talent, particularly within the City of Los Angeles Department of Cultural Arts Regional Arts Grant program. This year-long series of classes provides an opportunity for men and women of all ages and all ethnic backgrounds to begin the study of Japanese classical dance with fundamental movements, and eventually graduating on to simple dances. Through these programs and the private classes she offered at the Wakana Hanayagi Conservatory of Japanese Classical Dance, she continued always to strive to achieve and maintain the highest levels of artistic excellence, raising the bar for an even greater promise for cultural exchange well into the new millennium. Wakana Hanayagi died peacefully on May 24 in Torrance, with her family by her side. She is survived by her children, David and Michele Ito, her grandchildren, Tiffany, Chelsea, Jeremy, Daichi, Aki, and her great-grandchildren, Nick, Sophia and Julia. A private memorial gathering in celebration of her life is being planned.